INDUSTRY.co.id - Jakarta - The Ministry of Industry continues to guard the development of electric motorcycles. Latest there is a joint Japanese company that will make pilot project in Bogor, Bandung and Bali. Director General of Metal, Machinery, Transportation and Electronic Equipment (ILMATE) Harjanto explained that there was a joint company from Japan that formed the test of the vehicle. For automotive vehicles there is Honda, the battery industry from Panasonic as well as consultant of New Energy Technology Development Organization (NEDO). "Electric vehicles will be tested in the first half of this year with a trial period of six months to a year," said Harjanto recently. The investment value is unknown. Only Harjanto requested that the battery industry can also be made in the country, considering the lithium batteries used are still imported. Meanwhile Marketing Director of PT Astra Honda Motor Thomas Wijaya has not answered about the test of this vehicle. "Currently we are still doing the evaluation and preparation in accordance with the global products that have been delivered during the exhibition at the Tokyo Motor Show, Japan," said Thomas. 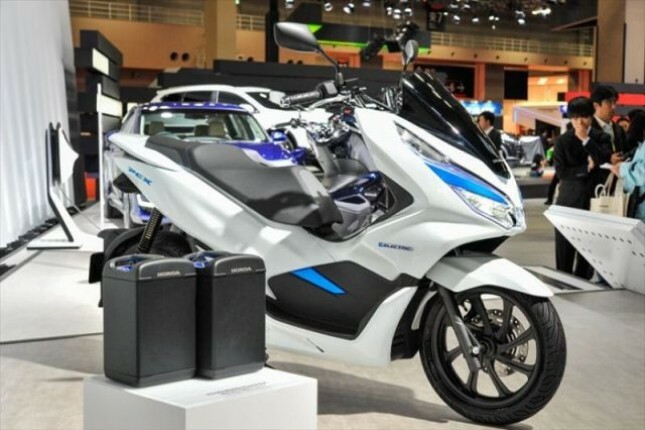 At that time, Honda showed off a premium scooter, PCX variant electric vehicle EV. Not long ago Executive Vice President Director of AHM Johannes Loman once explained not only gasoline-fueled motor, this year Honda will also launch the motor without emissions.